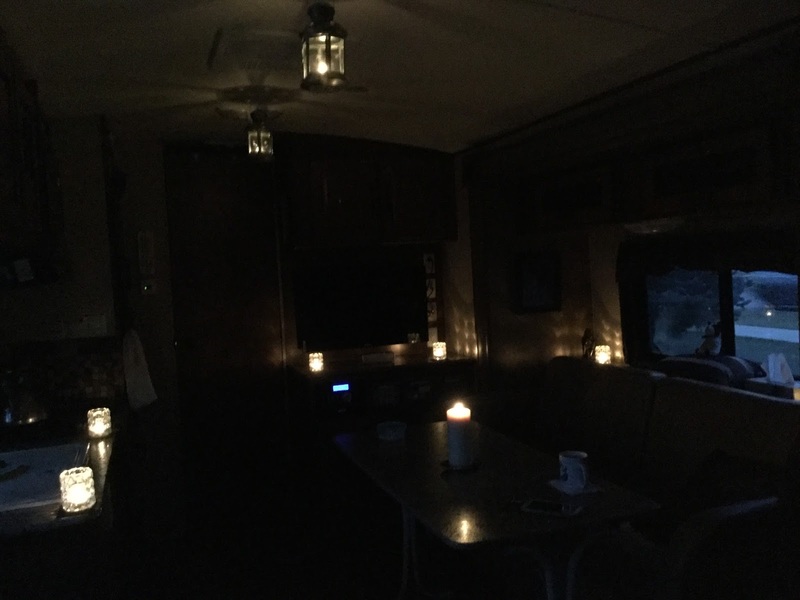 One of the challenges of living in an RV in winter (or fall or whatever you want to call this season) is that I run my furnace more and more. This coupled with me running my laptop means that I run Jenny every second evening. So, you can imagine that power consumption is a large concern for me, especially at this time of year. I still run my fridge only twelve hours a day and I run my laptop (now always plugged in via the inverter when running) only when I am actually doing something. No more leaving it up or just playing and staring at a blank screen. Another thing that I am doing is using my electric lights as little as possible. Even though they are LED’s now, they still use electricity. This leads me to a conundrum: do I just sit around in the darkness and grumble or use my lights and run Jenny more? Grumble and accept defeat? No, not me, I find creative solutions! So, this is what evenings at my place looks like these days. That is three of my tealight lanterns on hooks above (one off screen), six tealights in glass candleholders which magnify their light around the edges and yes one big candle in the middle. Under each tealight holder is one sixth of a cheap mousepad that I bought and cut into squares. That way they won’t move or be disturbed as easily. I also had to replace the 3 small rubber feet under the silver tray which goes under the large candle with 4 massive felt feet. That thing is not tipping over anytime soon (unless I’m a klutz). The silver box is my Bose Soundlink Mini 2 which gives great sound and has an astounding battery life (10 hours). Not to mention my cup of herbal tea waiting for me. So I spend my evenings surfing or playing on my iPad as I listen to great music and sip on herbal tea, all by candlelight. If I feel like it I can run my laptop. This is my way of dealing with a frustrating situation with style. Tealights are cheap, really cheap when you factor in that you get a hundred for like four bucks. They last for hours too, as long as you light them and let them burn. This does pose a problem of storage and what to do with all of these things when they are not out. As you all know storage is vital for me. Sure my bed turns into the place where I toss things I don’t need right now and the couch becomes that place when I am sleeping. These candles are gentle and need proper storage. Enter this. 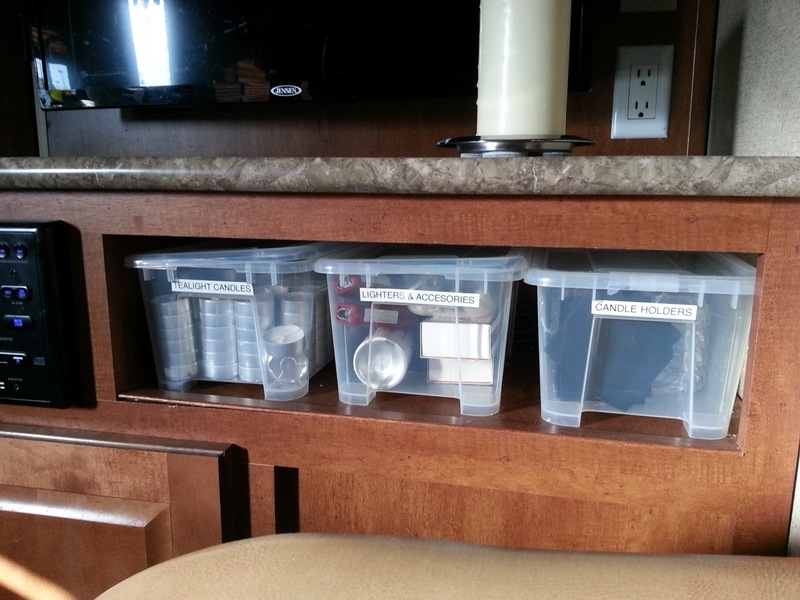 These are cheap plastic boxes that were just the right size to fit in that space. The one problem I had with them was the fact that their lids were not attached and did not snap into place. So I just have to live with it and let the lids slide all over the place? Not me, nope. Here is what I came up with. 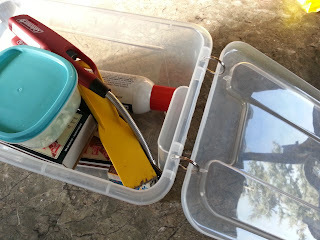 I used an old solution in a new way, those are keyrings as hinges. You can buy spare keyrings at key displays in most places, I get these at Walmart. 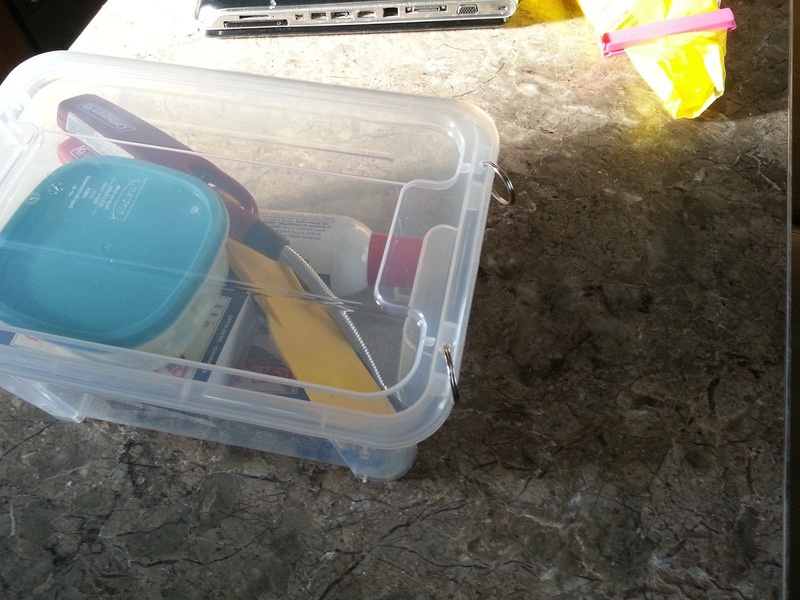 What I did was make two holes in each side through the lid and the container then just attach the box and lid to the keyring like two large keys. I don’t have a drill and that electric screwdriver hasn’t been charged in months so what to do? I used three screws, one was a drywall screw and the other two were matching fatter screws. What I did was screw the drywall screw through the lid and box. I used the drywall screw because it is very pointy and great at making a hole. After that I screwed the fatter screw into the hole to widen it and left it there as I repeated the process on the other hole. Why? To make sure that the holes lined up when I was done. After that you just take the screws out and attach the keyrings and you have an attached lid that you won’t lose, yet won’t get in the way. These are just two examples of how you can find creative solutions to problems that irk you. You don’t have to just sit there and suffer, you can find solutions to those little niggling problems and do so with style . . . herbal tea too.